Sofa upholstered with foam cushions on a metal frame. Base made of black satin finished tubular steel. 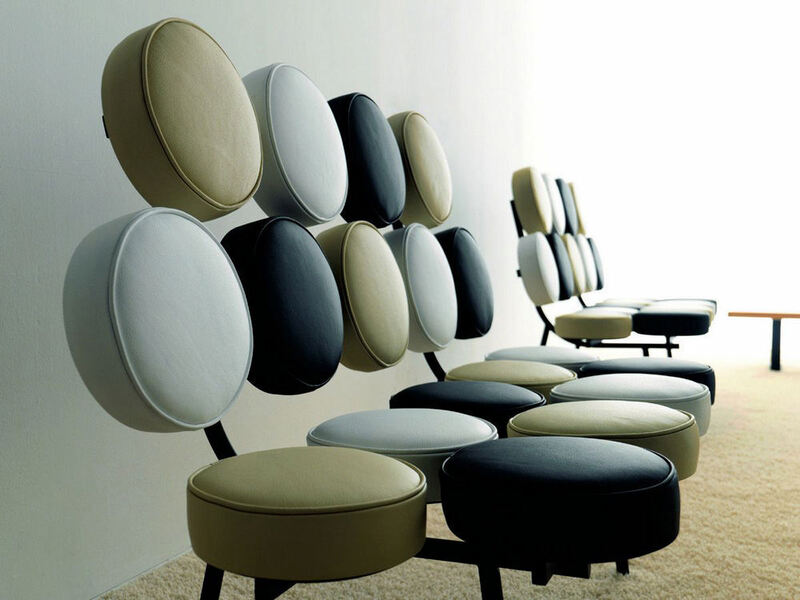 Individual cushions can be upholstered in different colors. 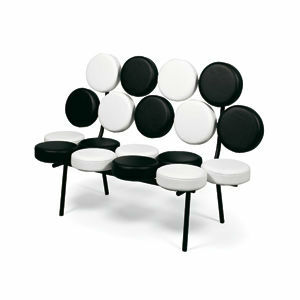 (1908 - 1986) An important modernist whose work cut across the fields of interior, industrial and exhibition design. In 1945 Nelson began a long association with the Herman Miller Furniture Company of Zeeland, Michigan, where as head designer he developed an innovative line of furniture and commissioned new designs from others. 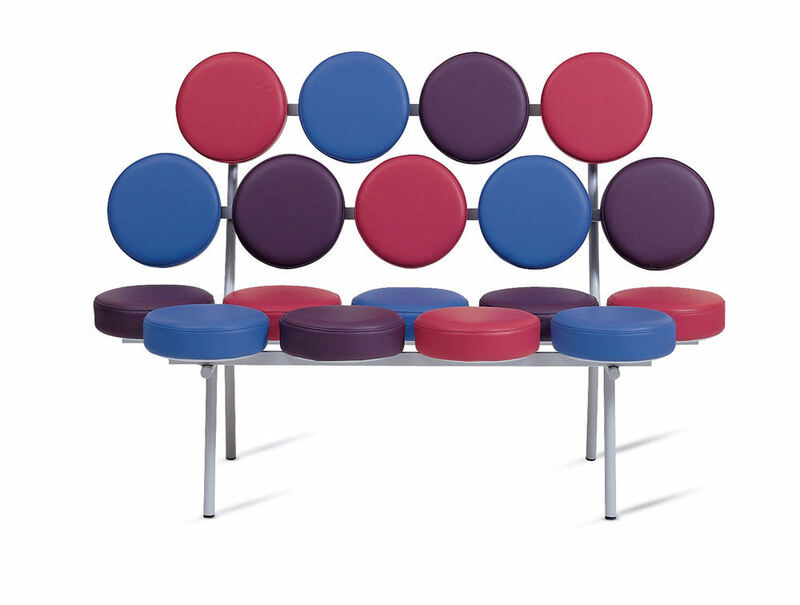 Among Nelson's own creations are classic works of Fifties design, including the bubble lamp, ball clock, marshmallow sofa and Nelson benches.